What’s interesting about this statement is, it was first published in 1960 and was based on students in the US, yet would not seem out of place in describing the situation in the UK. The UK, as with so many other things has unfortunately caught up with the US and become a nation that tests and measures…everything. Where a person’s worth is judged only by the tests they have passed it is perhaps not surprising that examination success has become so important and test anxiety increased. But it’s not just the UK, this is a global obsession, take China for example where the pressure to succeed has become so intense that cheating in the Gaokao, the nation’s university entrance exam is a major problem. The government has not been slow to react and for the first time anyone found cheating will face a possible seven year jail sentence. In Ruijin, east China’s Jiangxi Province, invigilators use instruments to scan students’ shoes before they entered the exam hall, while devices to block wireless signals are also used to reduce the opportunity to cheat. Stress is a broad term that is experienced when you find yourself in adverse or demanding circumstances, sitting an exam perhaps. Test anxiety is a situation specific type of stress, experienced by people who find examinations threatening. Recently, there has been an increased interest in exam stress and test anxiety in the UK and a need for it to be given closer academic scrutiny. The research so far shows that test anxiety can actually impair learning and hurt test performance. And this is the issue, are students underperforming in examinations, which as stated above can have a significant impact on their lives not because of their lack of knowledge or even their ability to apply knowledge, but simply because the medium used to assess them is an exam. In simple terms test anxiety effects exams results and exam results play a major part in people’s lives. Cognitive – the negative thoughts you can have during tests e.g. “if I fail this I will fail all my examinations” and the performance limiting difficulties experienced as a result of anxiety e.g. inability to read questions clearly or solve problems. Affective – physical symptoms e.g. trembling, tension etc. Behavioural – test anxiety creates an environment that encourages students to avoid studying or best delay it. The reason people develop test anxiety is thought to be rooted in certain social issues e.g. how you are judged by others and the fear of failure in the public domain. It may also be related to the type of anxiety people experience when they have to make a best man’s speech, for example. Another aspect is that it is not always what others think, but what you think of yourself that is the issue and so the expectation of exam failure could impact on an individual’s ego and self-esteem. I think in the UK we are through the worst part of this, let’s call it phase one, and by that I mean we know that examinations and testing are not the answer, and that people are not their exam result. We have learned this the hard way by producing groups of exam qualified students, releasing them into the world of work, ill prepared to cope with the demands of the workplace. In addition, we have developed helpful techniques that enable people to better cope with test anxiety. Some of these I have discussed in previous blogs, Stress or Pressure – Don’t let the bridge collapse, Exam stress – Mindfulness and the “7/11” to name but two. BUT………we still have some way to go with phase two, which involves answering the question, what do we replace exams with if they are so bad? And until we solve that, helping good people perform in the system we have just now is the best we can do. There is sometimes a disconnect between what you know and what you can explain. Have you ever said to yourself, “I know what I want to say but can’t find the words” or “what more can I say, I feel like I am just repeating the same point”. This may be the result of a lack of understanding and simply requires more study (see Eureka I understand understanding) or it might be that you just need a better way to think about what you’re trying to do. Although this blog has covered an approach to structuring written answers, it is the use of examples that for me is the most important. And if it was not obvious enough, look how many times I used examples to explain what I was trying to say ……. The statistics are astonishing, as of January 2014, over 67 million people play League of Legends per month, 27 million per day, and over 7.5 million concurrently during peak hours. And if your good at it the prize money for winning the world championship might get you to question your chosen profession, it was $2.3m in 2014 and 2015. Playing an on-line game is part of daily life for many people. This blog is “of course” not about League of Legends. In fact I have to admit I had never heard of it, just shows how far out of touch you can become with popular culture. It’s not even about the gaming industry which is said to be worth £3.9 bn to the UK economy, it’s about a growing and fascinating area of learning called gamification. Gamification is the use of game mechanics (rules, design and tools) in a non game context to better engage and motivate learners to achieve a desired objective. There are two types, structured, where you are looking to propel a learner through content and reward them for the desired behaviours and content driven where the game is the content i.e. the learner is a character in the game and is required to undertake tasks that are in turn rewarded. Games are not of course all the same but they do have similar characteristics, these “techniques” can then be used in a non game context i.e. a learning context. The idea being that if they engage and motivate the gamer, they will do the same for the student. Games need some form of measurement to assess performance and a reward to act as an incentive. Below is a note of some of the measurements and rewards used in gaming but could be adapted for learning. Rewards – not a badge but something tangible e.g. money…. You don’t need to spend millions developing a game to get the benefits from gamification, and its not all about beating others, here are a few tips. Rewards – The best part. Set up a series of rewards e.g. a night off, go for a run, have a glass of wine, bar of chocolate etc. Increase the rewards as gaining the points becomes more difficult. If you beat your leader board score, then your rewards can be even greater, maybe a day out shopping/at the football etc. Why not ask others to contribute to the reward, if I get to the top of my leader board how about you buy me dinner. You will be surprised how many people, friends and family will effectively sponsor you. Of course you might get fat doing this, but don’t worry there is another game that can help – it’s called weight watchers…..
Twas the night before ………..the exam – but what to do? For students May and June are the main exam months. Studying and learning can be enjoyable…. honestly, but the fun has to come to an end and it does, with the exam. 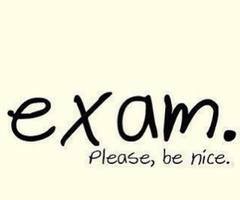 It cannot be avoided and so is best embraced, treat the exam as a game and you the player. What you need to do is give yourself the very best chance of winning. Become a professional exam taker, someone who follows a process of preparation, very much like a top sportsperson. This means you personally need to be in the best physical and mental shape and have a series of exercises that will get you match fit. Read through and reduce your class/tuition notes down to approximately 10 pages (20 max) of revision notes, see March Blog on how to prepare notes. You may have some professionally produced revision notes, but it is still best to make your own. Practiced past questions on the key examinable areas both under exam and non exam conditions. Started the process of memorising the revision notes. 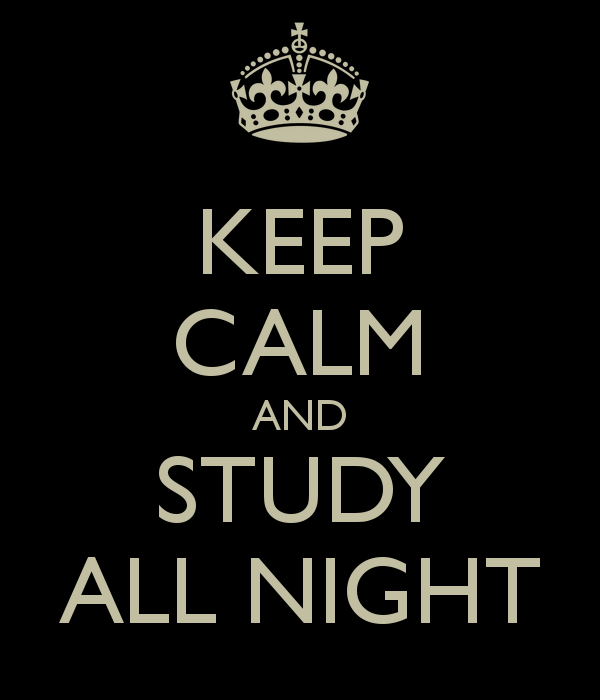 Be realistic – The key to the night before the exam is to be realistic. You don’t have much time, so don’t think you can cover everything. Let’s assume you have 3/4 hours, 6.00pm – 10.00pm maybe. Put to one side the large folder that contains all your notes taken throughout the term/year, and concentrate only on the 10-20 page revision notes. Focus and memorise – In the 3/4 hours that you have you want to get an overview of the subject and focus on the areas that need memorising. These should be the key examinable areas and are most likely to be standard formats, definitions, lists, formulas s not given in the exam etc. Memorising should include some rewriting of notes, but very little, focus on talking out loud, drawing pictures, writing out mnemonics etc. See my blogs on memory, in particular: Thanks for the memories and To pass an exam do and exam. Admin – make sure you have set to one side everything you will need the next day. This includes your exam entry documents, calculator, gum, mints etc. You don’t want to be thinking of these in the morning. And of course make sure you know exactly what time you need to leave to get to the exam with about 1 hour to spare. Physical and mental preparation – Drink lots of water, avoid tea, coffee etc as you will need to get a good night’s sleep. Exercise is an incredibly effective method of reducing tension and stress. So you may want to build into your 4 hours, 30 minutes for a run or brisk walk. This could be at the half way point of your evening, combining a well earned break with the exercise maximises your time. Getting sleep is important, so avoid reading your notes and then going straight to sleep. Pack you notes away, put them ready for the morning, then physically go into another room if possible or even outside, watch TV for 10 minutes, something trivial or read a book. You need to break the state of mind from that of studying, relaxation leads to sleep not stress. And finally keep a positive attitude, think about what you know and are good at and not what you don’t know and are bad at. Keep telling yourself that you have done everything possible, and if you follow these steps you will have. Thinking you know nothing and should have done more will not help at this stage, it’s a pointless thought strategy and not what the professional exam taker does. Set your alarm sufficiently early to give you at least another hour of revision. You don’t need to get out of bed, just continue memorising your notes. This is now about little and often, short 10 minute intervals. Don’t worry about falling to sleep in the exam; the adrenalin won’t let you. What you do after arriving at the exam centre/School etc is personal. Some will prefer to sit on their own going over the revision notes; don’t bother taking your folder of course notes. This is still very much about short term memory. Others will prefer to talk, chatting about nothing, just to stop them worrying. Both are fine. Afterwards is also a little personal, most will go home, but some will want to talk through what was in the exam, looking perhaps for some conformation they have not made a complete mess of it. Most importantly, if you have another exam, go home, put your old revision notes to one side, forget everything and start on your next subject. And although personally I found exams difficult I have never regretted the hard work, it was for me worth it. Eureka – I Understand Understanding! If you understand the subject you are studying your chances of passing the exam must be good. A simple and perhaps obvious statement but what does understand mean and what do you have to do to truly understand something? Of course understanding is a key part of passing but it is not enough on its own, you can understand something yet fail because you run out of time, misinterpret the question, thought you understood but didn’t! etc. The dictionary defines to understand as, to know what someone or something means, to grasp the meaning, to be familiar with, make sense of etc. Understanding is clearly different to knowing, for example, you may know that gravity is a force that pulls objects to earth but that does not mean you understand what gravity is or how it works. Of course you need both knowledge and understanding, the one is no good without the other. Examiners try to test for understanding by asking questions that require you to compare, contrast, explain, interpret etc. Understanding is not a Eureka moment, it has different levels. It might seem that there is a point where you didn’t understand and then suddenly you did, a Eureka moment. 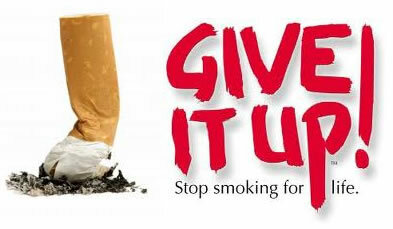 In reality what you have done is move closer to gaining a better and fuller understanding. Ask any lecturer or teacher, often they will tell you they never fully understood something until they had to teach it, they just thought they did. Understanding by design, Wiggins and McTighe (1998) is one part of an instructional design process that provides a very helpful framework we can use to explore the depth of understanding and perhaps more importantly what you can do to develop a deeper understanding. Think of it as a hierarchy with the easiest one first, the greater you’re understanding the higher the number. 1. 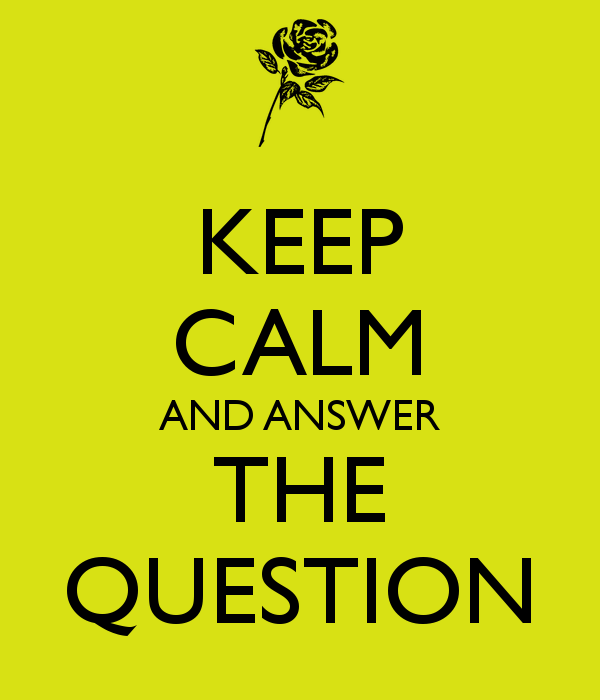 Explain, the classic exam question – Explain to someone what the concept/idea means and say why. Explaining out loud to yourself or making a recording can be just as effective. 2. Interpretation – Relate the concept/idea to your own experiences, tell a meaningful story. Try to add something personal into your explanation. To do this you will need to reflect on past events, whilst attempting to find parallels with the concept/idea. 3. Application – Use the concept/idea in a different context. The ability to apply knowledge in different contexts (transfer) is a key milestone in learning as well as understanding. It should result in you never being caught out by a difficult exam question. Understand to this level and it doesn’t matter what the examiner asks. 4. Perspective – Read around the concept/idea, get other people’s views, and see the big picture. If your struggling with understanding, read another text book or my favourite is to go onto you tube and watch a video. The internet is great for discovering alternative views. 5. Empathy – Try to get inside another person’s feelings about the concept/idea. This is difficult as it requires you to put aside your feelings about the concept/idea and accept that it is not the only way of thinking about it. 6. Self Knowledge – Ask questions about your understanding, ask what are the limits of your understanding, what are your prejudices, become aware of what you don’t understand. Often called metacognition, the ability to think about thinking. Understanding, like Eureka moments are not of course the result of sitting in a bath and suddenly finding you understand something you had previously found confusing. It is the gift of hard work and long hours of study, hopefully by trying some of the techniques above your depth of understanding will only improve. Ps apparently the jeweller was trying to cheat the king…. Want to know more about understanding by design, watch this. Examinations come in many shapes and sizes, short form, multiple choice, essay, case study etc. I know there are other methods of assessment but I am thinking here of the most common. Of these one stands out as being very different, the case study. Developed by Harvard in the 1920s the case study involves giving the student a real life, normally business situation and asking relatively broad Socratic type questions e.g. what do you think, why etc. It not only puts the student in a realistic situation but also requires them to think far more deeply. The cognitive process involved in answering a question such as what is the capital of France or can you add 2+2, on the whole is very simple and may need little more than memory. However giving student a real life business to analyse and asking them to give an opinion as to what the company should do next requires higher level thinking as well as effective communication skills. One other aspect of a case study is that it often involves large amounts of narrative, all will need reading digesting and putting into context. On the face of it this can seem daunting, but it can be done and as with so many aspects of learning there is a process that can help. I have written about, having too much to read and the benefits of chunking before but I want to bring these together with another powerful technique “thinking in box’s”. Volume and lack of direction is the main problem here, so we need to find our own direction and reduce the volume. 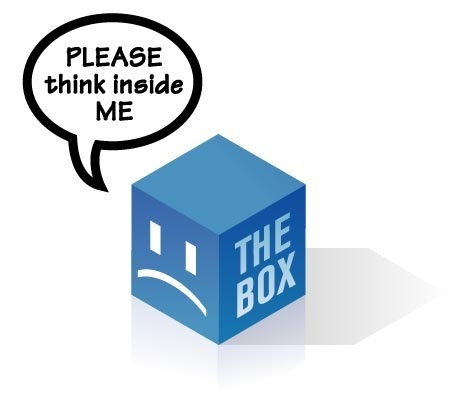 Thinking in box’s refers to the natural process we have in compartmentalising thoughts. In order to make sense of the world we often put “stuff” into box’s, work, study, relationships etc. We can then open the box’s when we are best able to deal with them. The point being that we can’t deal with everything all at once. If this whole idea sounds a bit odd, then just consider the saying “Thinking outside the box”. This refers to the imaginary frame we put around something that restricts our ability to solve a problem and think more creatively. Strange isn’t it….. Imagine that you have 10 pages of narrative to read based on a particular industry, a case study. There are a few sub headings and some paragraphing. You are required to provide guidance to the board of Directors as to what the companies strategy should be in the next five years. In order to give the advice required by this question, you need to fully grasp the current situation, which means you have to read, understand and comprehend what is written on the 10 pages. To add structure to the case firstly take chunks of content and put a frame around it, this will help focus just on this chunk of information, it also reduces the volume. A chunk will often be information under a heading or specific paragraphs. Once you have the content in a box, sift through it looking for the “key words” and underline them. Focusing only on the key words but taking into account the context, ask yourself, what do I think about this? What does it mean, what is it telling me etc. Then write down your thoughts. Do this for every chunk of information, then number each chunk. At the end of this process you should have read and thought about each chunk, captured those thoughts and have a numerical reference by which to structure them. The final part of the process is to read each of those chunks again and produce a SWOT. This brings all 10 pages down to just one. And by using the SWOT supported by your detailed analysis you should be able to give the advice required by the question. In this short video I demonstrate the thinking in box’s approach. I will be more enthusiastic about thinking outside the box when there is some evidence of thinking inside it!